The Vera and Walter and Scherr Foundation was formed in 2007 by Walter, his daughter Laura, and son Robert. The focus of the Foundation’s outreach is on education and people with disabilities with the mission of providing a secure and safe environment that empowers people of all abilities to reach their full potential. The Foundation is also committed to honoring those who dedicate their lives and make career choices that inherently add value to our society, and whose life work advances the greater good. Country Bank is a full-service FDIC-insured New York State chartered commercial bank. With over $600 million in assets, they offer businesses of all types and sizes a comprehensive suite of products as well as a full range of personal banking services for individuals. Country Bank is also a leader in commercial real estate lending and delivers innovative structuring, tailored solutions and fast, thoughtful decisions. Their flagship branch and headquarters are located on 42nd Street and Third Avenue in New York City, with additional branches in Midtown, Riverdale, Woodlawn and Scarsdale. Learn more about the bank at www.CountryBankOnline.com. 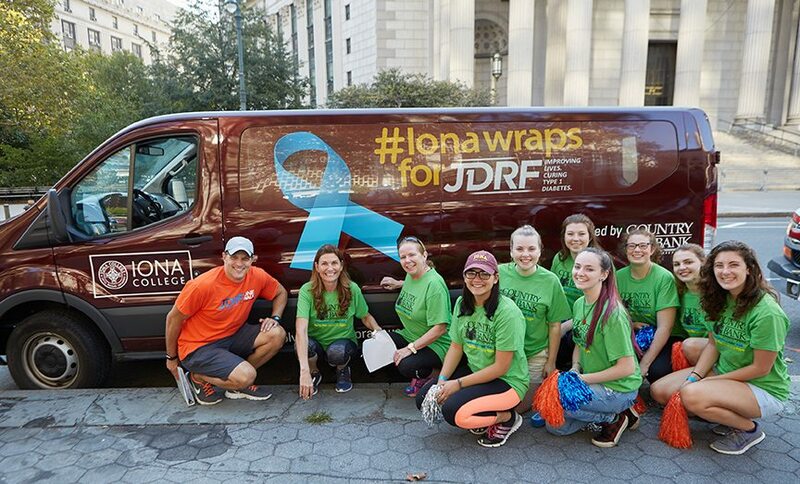 Wrap for a Cause and Country Bank join Iona College students at the 2017 Manhattan to Brooklyn JDRF One Walk on September 24, 2017. 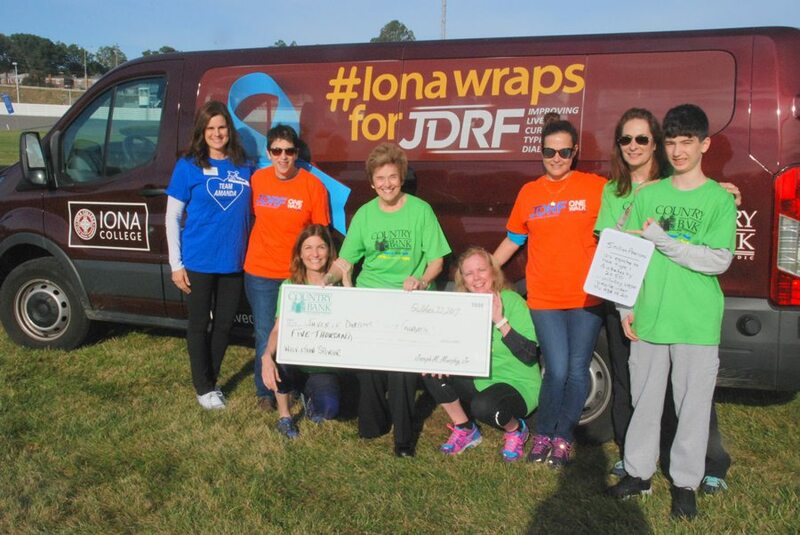 Wrap for a Cause and Country Bank hit the road with Iona College again at the 2017 Westchester JDRF One Walk on October 22, 2017.